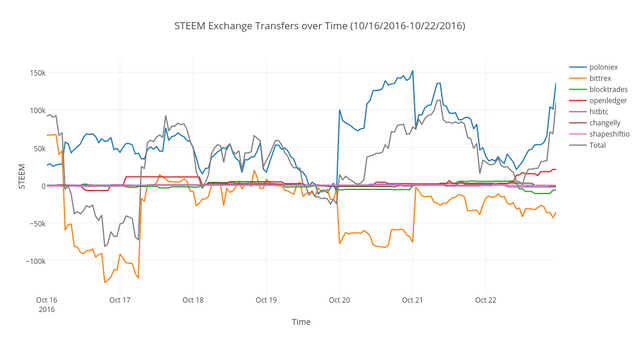 Exchange Transfer Report: 10/16/2016 to 10/22/2016steemCreated with Sketch. 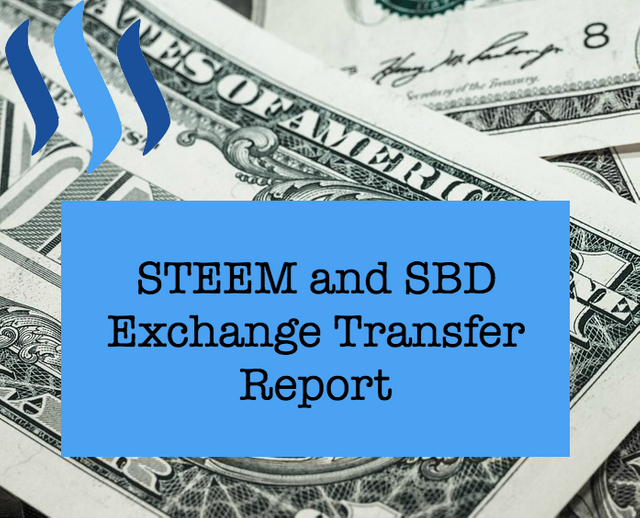 Last week's STEEM total: -379,422, this week is -218,621. Maybe I should graph this number over time? 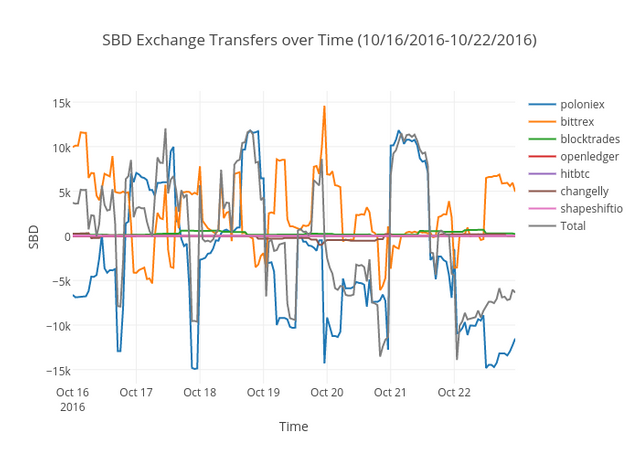 Looks like SBD is negative this week at -2,402 (meaning more SBD was sent to exchanges than pulled off of them). 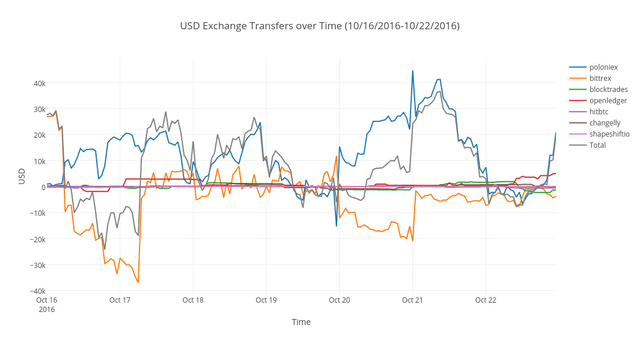 That's the first time it's gone negative since late August. 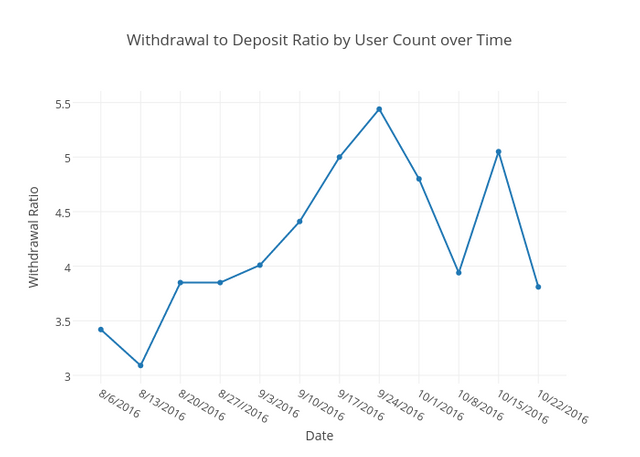 We saw the third lowest ratio of withdrawals to deposits since I started these reports at 3.81 to 1. That's hopefully a good sign and makes me wonder how low that ratio has to go before we'd see a bull market? I'd love to hear your thoughts on that in the comments. It is getting tempting, but my charts are still saying: wait! 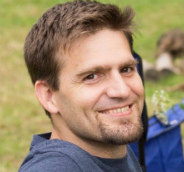 I wonder how long investors will wait before they just lose interest all together and move on to the next coin project. I further wonder if the price does stabilize, will it have a spike upwards as all those who sold waiting to get back in at a lower price do so quickly? I would like to see a similar rally that we saw in ether starting late last year. My concerns as well. Anytime price rises near the trendline to breakout, it get quickly crushed by massive sells. Do you have some long term historical equivalents? Great analysis, upvoted and following. Thank you! I always appreciate it. Your welcome, Learning a lot from your posts. Thank You, thought provoking info! Yeah, curious transfer history here for sure. Loans and repayments to @dantheman. Interesting.